Our physical store is open 10AM to 6PM Pacific Time, Monday through Saturday. We are closed on Sunday. We typically respond to Reverb messages within 24 hours, or next business day. Completed and cleared orders are shipped out Monday through Friday. 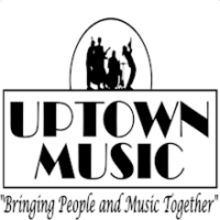 Uptown Music has been providing Oregon's Willamette Valley with great service, quality products, music lessons and repairs for over 25 years. Are you looking for great acoustic, electric or bass guitars, drum sets, keyboards, PA systems, school band or orchestra instruments? We have what you are looking for and we will always make sure that you get the gear that's right for you. Thank you for visiting our Reverb Shop! 14 Day Return or Exchange Policy. Buyer is required to pay shipping cost both ways.